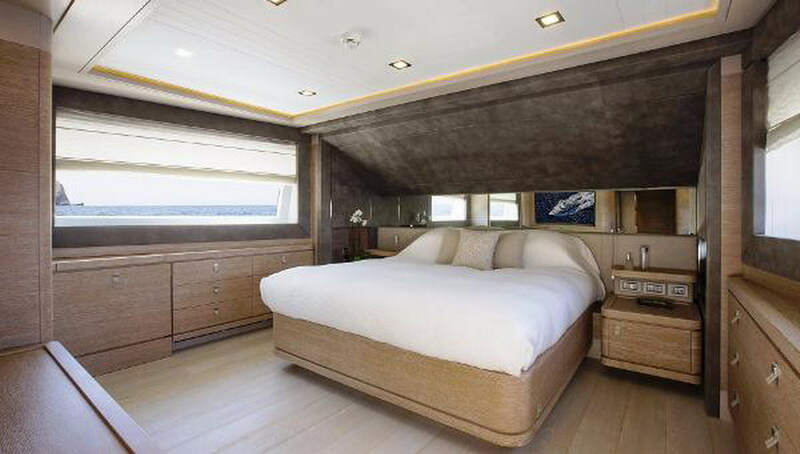 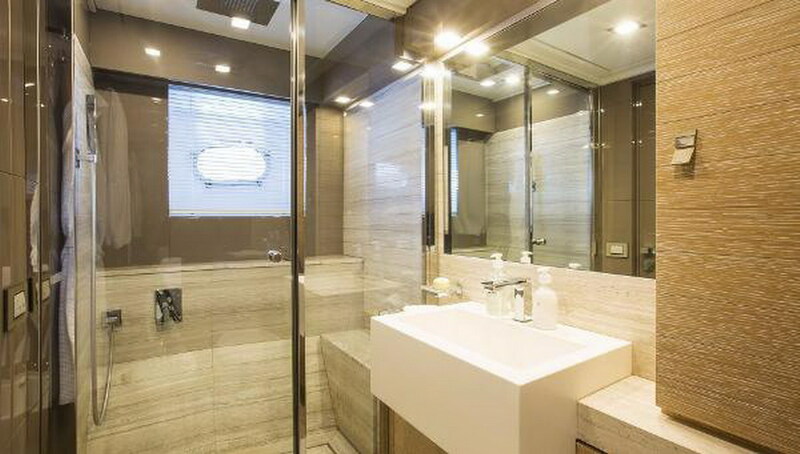 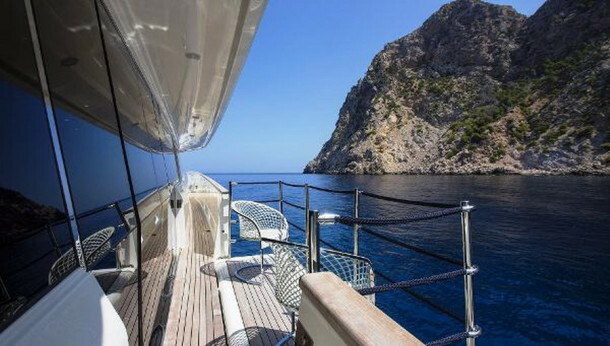 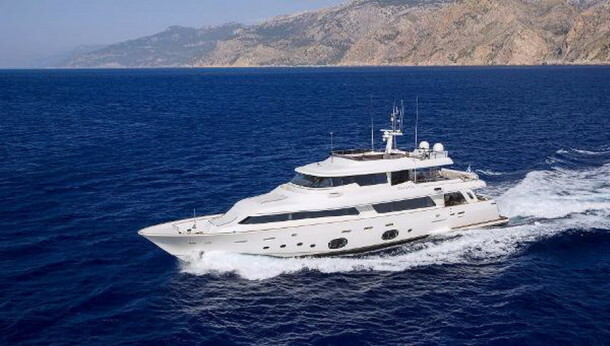 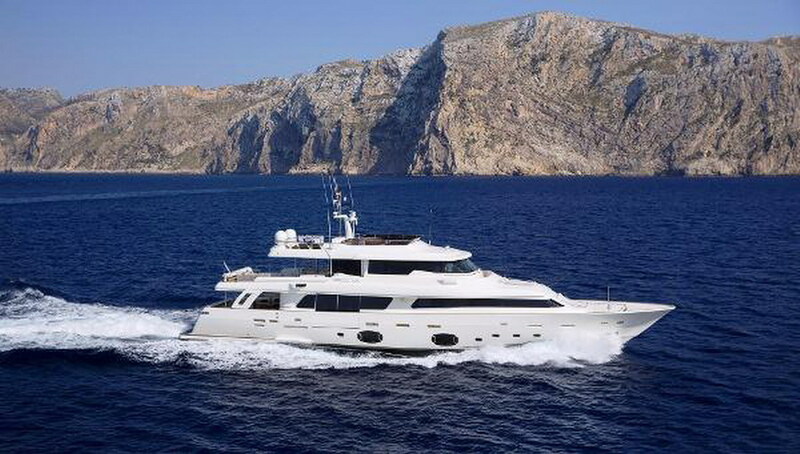 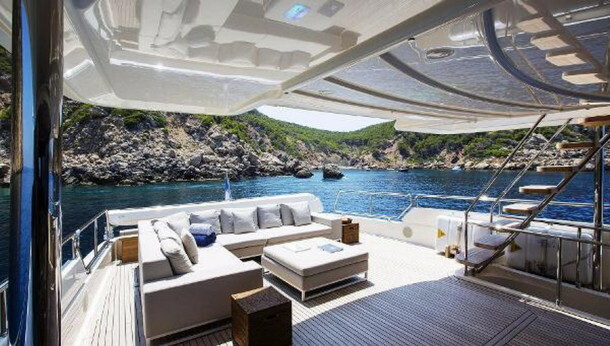 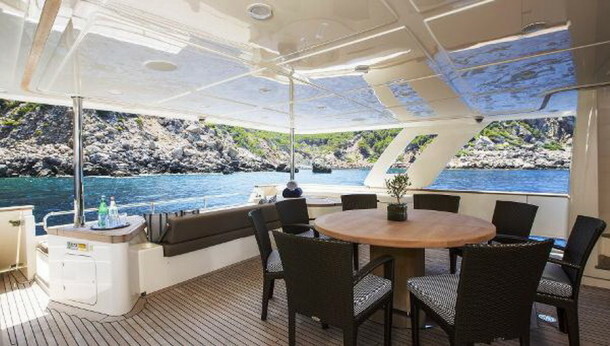 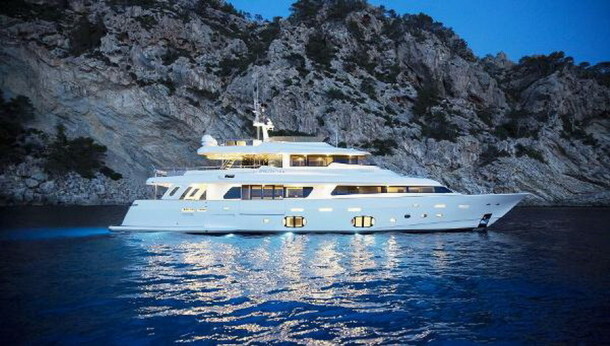 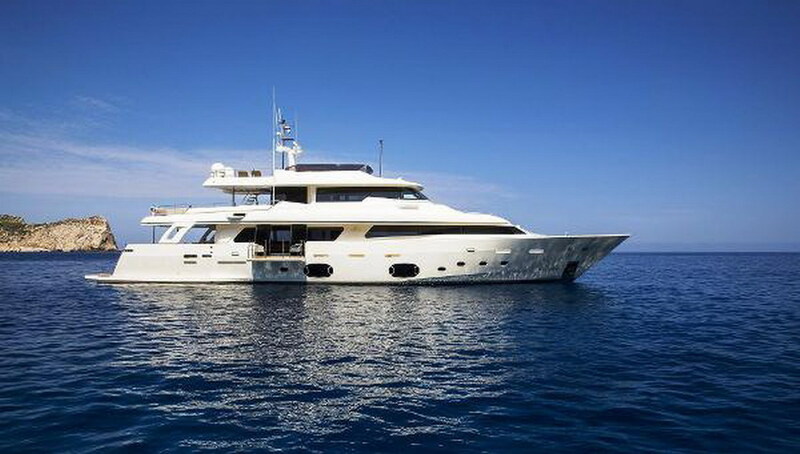 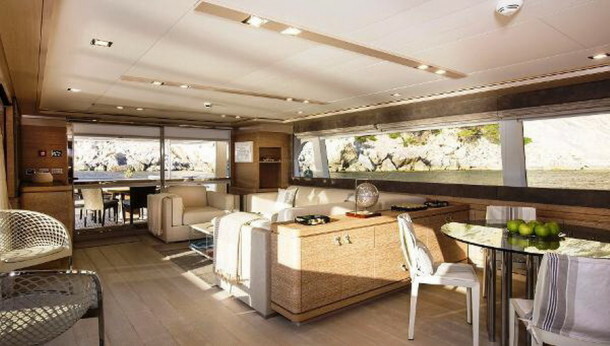 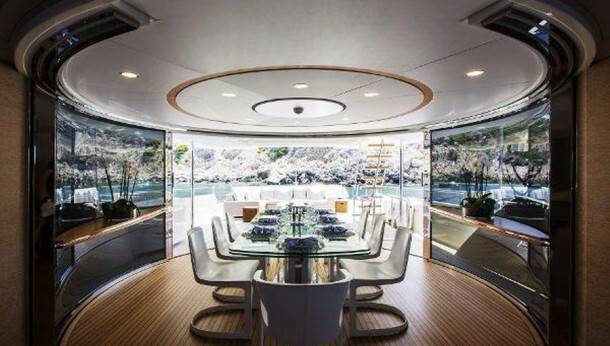 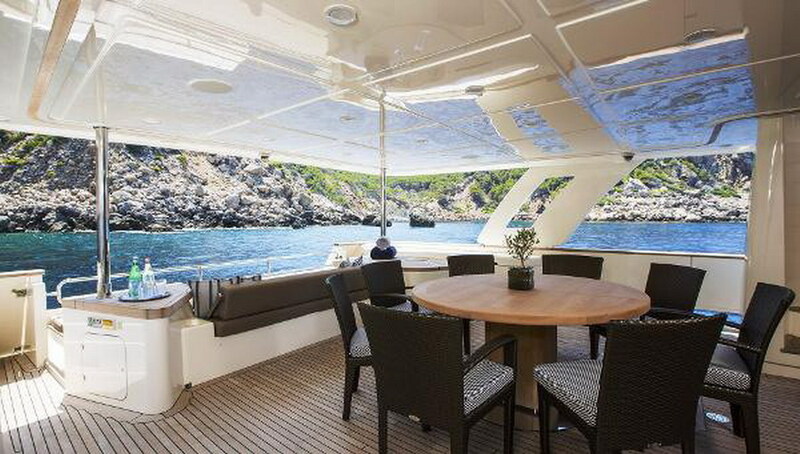 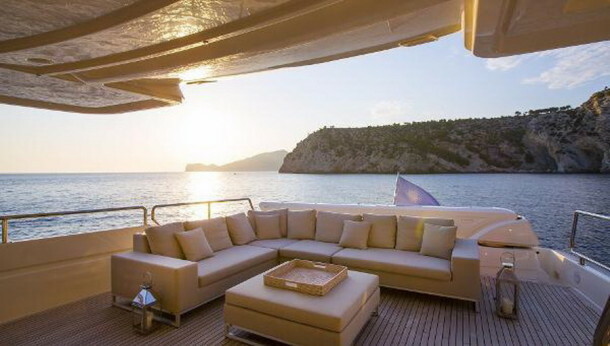 2013 33 Crescendo Navetta tri-deck in beautiful condition. 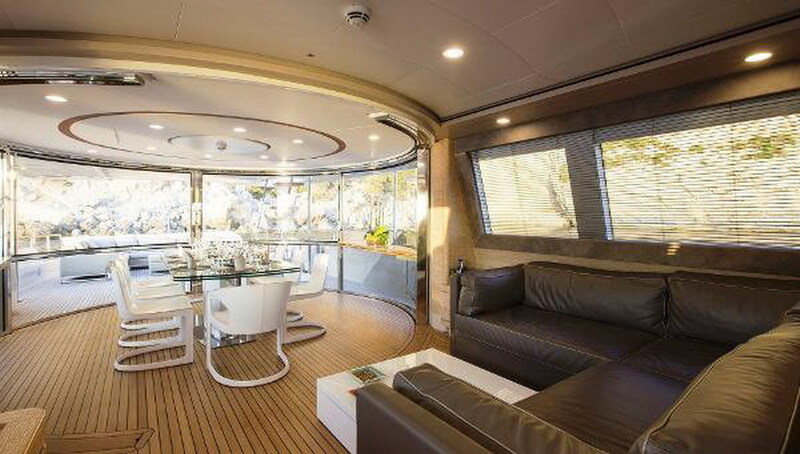 Main salon features a drop down terrace on the starboard side. 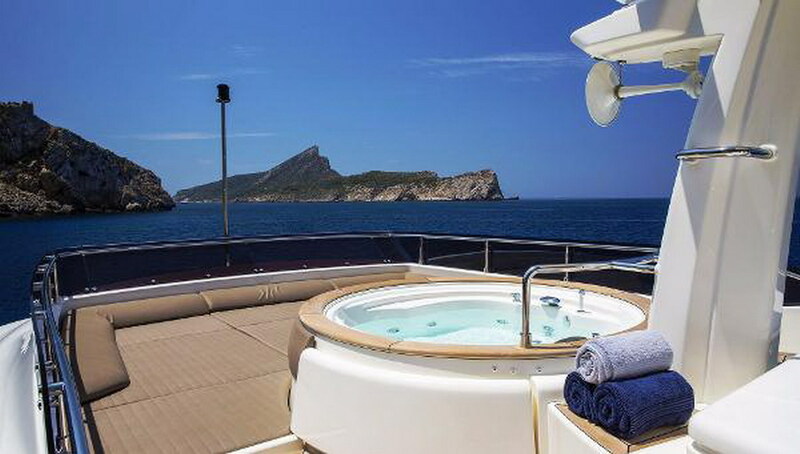 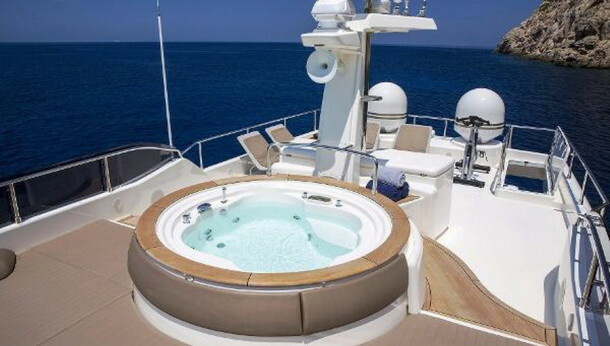 Full-size sky lounge and large sun deck with Jacuzzi. 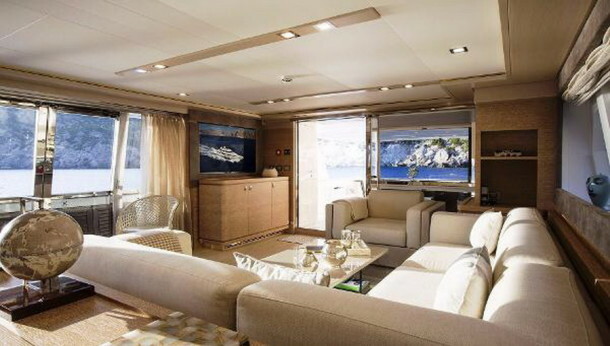 Neutral interior furniture and décor can be easily personalized to suit her next owner. 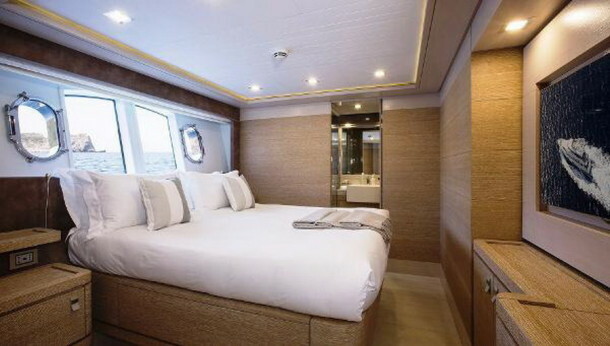 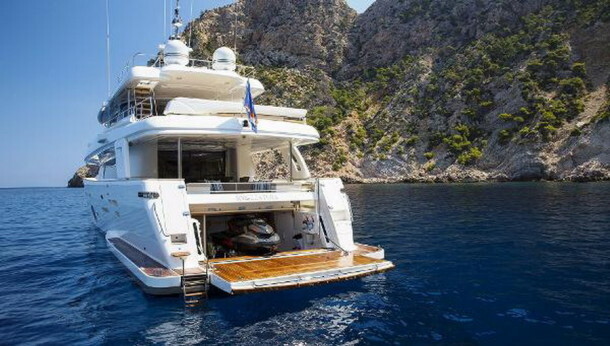 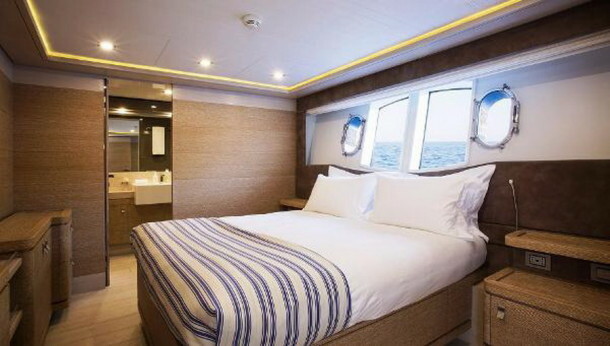 She accommodates 10 guests in 5 spacious cabins, each with ensuite head. 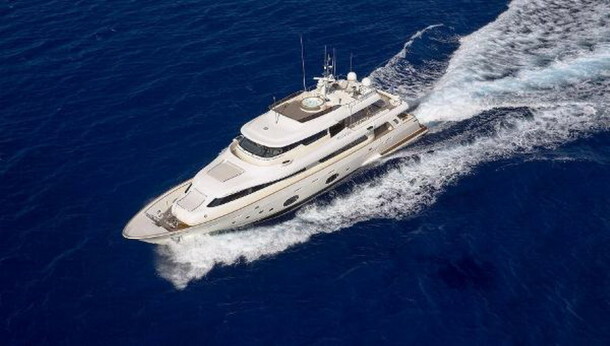 Powered by twin MAN V12 main engines. 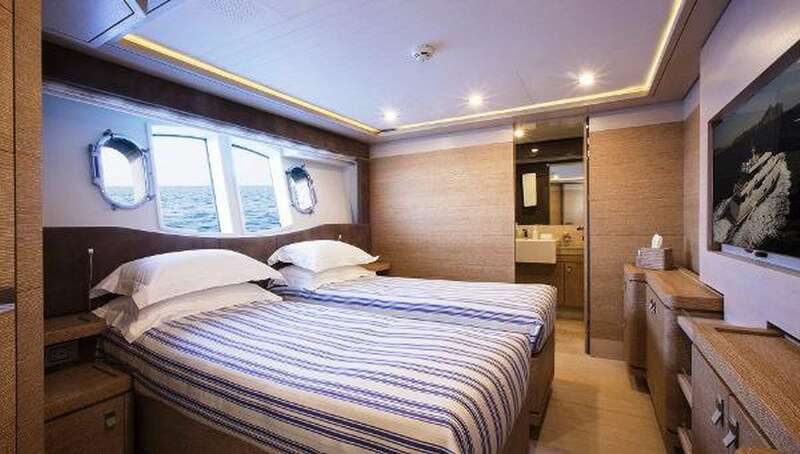 Anti-roll Gyros and ABT hydraulic fin stabilizers provide comfort at sea.